Nagka Jordan ka lang, sneakerhead ka na koya? i know this guy! what makes him a sneakerhead? mukhang sneaker yung itsura haha... gay! What part of the word "SNEAKERHEAD" did this guy not understand? Wow! That's a lot of hate from a bunch of people. Haha! Thanks for the hate! I get that reaction a lot, I'm not really a sneakerhead eh. 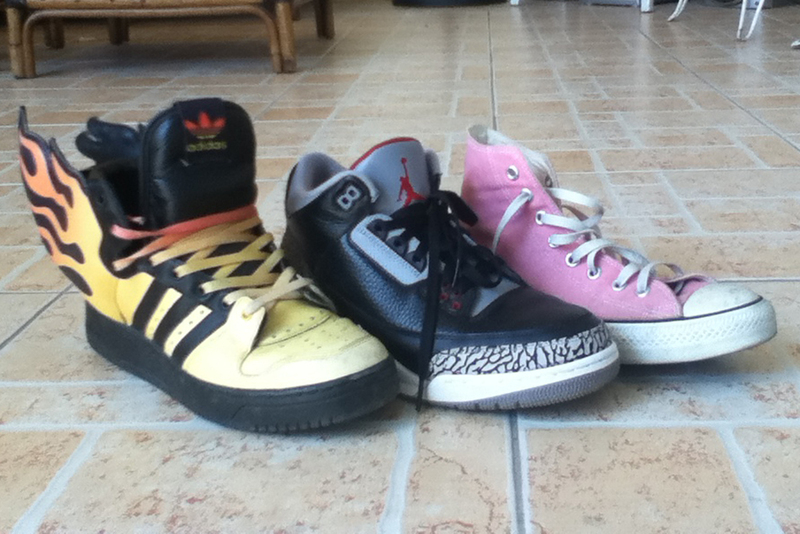 And I have other shoes from Jeremy Scott if that makes me more gay. Peace!